Today, we’re showing you how to create your very own DIY Wedding Memories frame, using the stunning First Edition Perfect Moments paper pad! This beautiful frame will make a lovely statement in your home, and will remind you of the happy memories of your wedding day every time you look at it. This would also make a thoughtful gift for a friend or family member – and it’s so easy to create too! We’ve created a video tutorial taking you through how to create this wall art piece, find it below and have a go at creating your own. 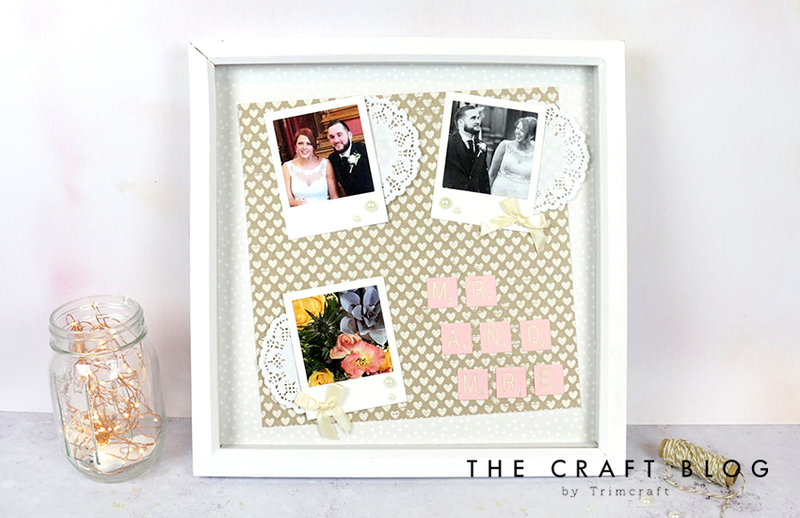 Will you be trying our DIY Wedding Memories Frame tutorial? Please let us know if you do as we LOVE to see! Don’t forget to upload your makes to the Inspiration area, or to #Trimcraft when uploading to social media. This looks soooooo gorgeous and what a great idea. I´m actrually just been asked to make something for a wedding next month, so think, I´ll show them this and see, if that wouldn´t be a great idea for them too.